When it comes to growing your ecommerce business, very few people choose to expand beyond their own country. After all, selling in a foreign country is intimidating. Not only do you have to worry about a different set of tax laws but you also have to deal with overseas shipping and complicated logistics. By only selling in your home country, you could be greatly limiting your sales. And thanks to Amazon Global and FBA, it is now easier than ever to expand your business worldwide. 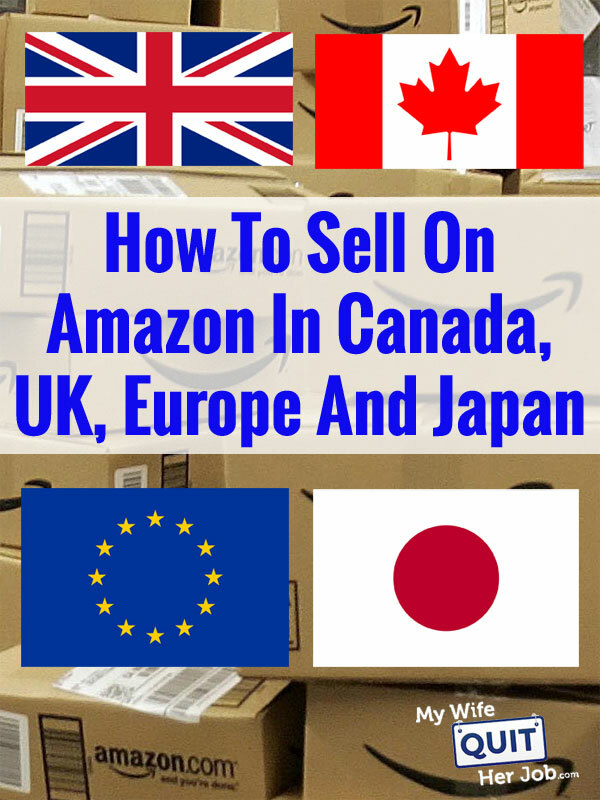 In this post, I invited my friend Bernie Thompson to give us some pointers on what it takes to sell on Amazon in various countries across the world. Bernie runs an 8 figure electronics business at Plugable.com where he generates 15% of his revenues outside of the US in various countries such as the UK, Germany, Canada, Japan, France and Spain. He has a plethora of experience selling in many different countries and today he was gracious enough to share with us how he does it. Note: The contents of this post are based on a Google Hangout that I did with Bernie as part of my Create A Profitable Online Store Course. If you prefer to watch the video, then scroll down to the very end. Otherwise, please enjoy my summary of our discussion. How To Determine The Right Time To Expand? Expanding your business to a foreign country can be a major administrative hassle. And the first question you have to ask yourself is whether it’s worth it. For Bernie, Amazon US accounts for 85% of his sales and for most of you, Amazon.com (US) will be your largest market. So does it makes sense to sell outside of the United States? And when should you consider doing so? If you are selling products on Amazon where you are a leader in your niche, then it might make sense to expand overseas. If you are a top seller for a certain product, it might make sense to sell that product globally. First mover advantage is very important on Amazon and by delaying your expansion, you are leaving the playing field open to other competitors to steal your market share. Have you ever looked on the Amazon Canada or the Amazon UK website and found your own branded products listed on there at inflated prices? If so, these foreign sellers are simply buying products from Amazon.com and dropshipping them to customers in their country and pocketing the difference. So drop what you are doing real quick and type in your product keywords on Amazon.ca and Amazon.co.uk. If you see your products listed, then it could be an indication of demand in that country. The other reason to expand is to diversify your sales. Every product that you offer will perform differently depending on the region. And according to Bernie, he has some products that sell well in Japan but not so great in the US and Canada. He’s also had certain products totally bomb in the United States but take off like a rocket in Canada. In the grand scheme of things, it’s rare to find a consistent winner on Amazon. Selling the same product in different countries is a great way to smooth out your revenues and make your earnings more predictable. In addition, if your ASIN gets banned in one country, you still have other channels to move your products because Amazon treats each country as a distinct marketplace. The first thing you must consider when selling internationally is the language barrier. Never ever let Amazon translate your entire catalog for you because they will do a very poor job. 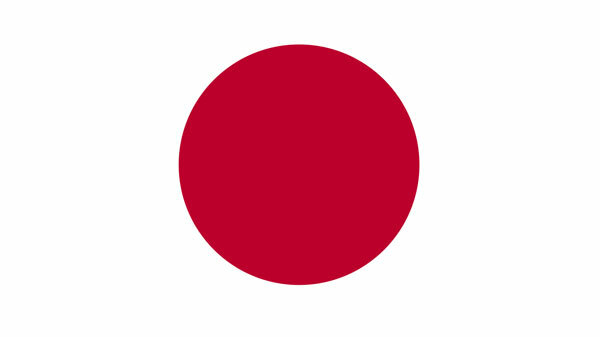 Instead of relying on Google Translate or Amazon, use a service like Gengo.com. Gengo is a marketplace for translators online and you can easily find a competent person to translate your listings into any language you need. The language barrier can also make customer support problematic. As a result, Bernie relies on Google Translate as a first line of defense but quickly falls back to human translators on his staff and Gengo.com to answer more in depth inquiries. If you are already selling on Amazon in the United States, the first and easiest country that you should consider expanding to is Amazon Canada. In terms of taxes, the Canadian govt is fine with you just paying federal tax on your imports and not filing any additional tax returns in Canada. 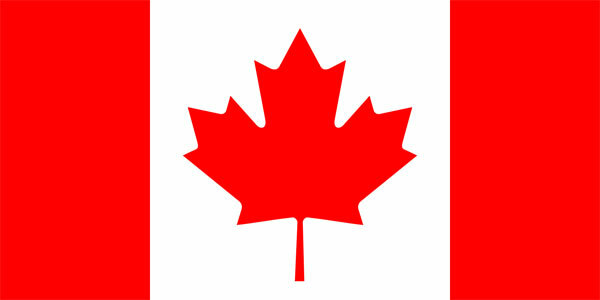 Selling in Canada FBA is often as simple as getting a tax registration in Canada. Bernie recommends that you get a hold of an Amazon Canada rep as soon as you can and he/she will point you in the right direction. Look through your emails from Amazon for a recommendation to sell your products in Canada. Then, reply to that email and get an Amazon rep on the phone. Amazon will point you in the right direction and recommend various shipping companies as well. Your Amazon Canada rep will also help you setup a tax id and teach you how to deal with import taxes. First you need to get VAT registered in the UK. You can do that without having to set up a UK company or bank account by registering as a “Non-Entity Taxable Person” (NETP). Bernie strongly recommends that you use a VAT specialist because it is extremely easy to screw up. Right now, Amazon is helping sellers hook up with big firms like Avalara and KPMG and has negotiated some reduced rates. Avalara, for example, allows you to create an escrow account and they’ll pay your taxes directly from your earnings. 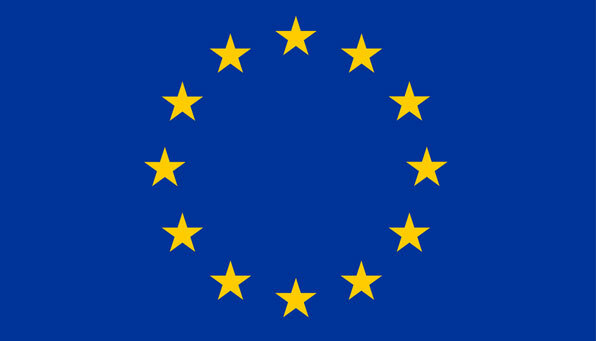 The cost is roughly 10K per year for 7 countries in the EU and they will walk you through the process. That being said, the big firms can be frustratingly bad at answering questions and a smaller firm like ukvat.uk.com or simplyvat.com may be able to help you better. Once you are VAT registered, you can now apply for a new seller account which is separate from your Amazon US account. As of this posting, the requirements for an Amazon UK account are a valid credit card, phone number, and your VAT number. Again, a UK company or bank account is not required. As part of registering for VAT, you will get an EORI number which stands for Economic Operator Registration and Identification. 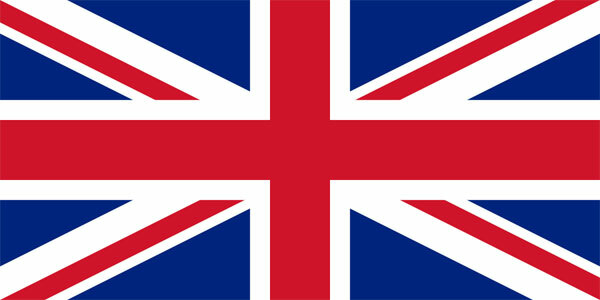 This number allows you to begin importing inventory into the UK. Many sellers start by using express carriers like DHL who will pay VAT on your imports and charge you back. VAT taxes in Europe vary by country. For example, the VAT tax is 20% in the UK and as a result, you need to set prices accordingly otherwise the tax alone could easily exceed your profit margins. Make sure that you check with your VAT service provider to make sure you handle the paperwork right on your early shipments. Bernie also highly recommends getting an Amazon account manager in the UK to help you through the process. Once again, look through your Amazon emails for recommended products to sell into the UK to get access to a rep.
Once you are properly setup in the UK, selling to other countries in Europe is a much simpler process. Amazon offers a program called the Pan-EU program which allows you to shift goods across Europe, stage them close to where your customers are and fulfill orders seamlessly from a single warehouse. For example, you can store all of your inventory in the UK and Amazon will fulfill orders to countries throughout Europe, regardless of the country where the item was sold. What’s also nice is that when you register to sell in Amazon EU, your seller account is automatically enabled to allow you to sell in all EU countries. But every country requires it’s own distinct Amazon listing. However despite the convenience of the Pan-EU program, you still have to obey the taxes and regulatory laws of each country within the EU. For example, selling in Germany requires a fiscal representative and they have much stricter guidelines than other countries within the EU. Every EU country has their own specific VAT invoice rules as well. Once again Bernie recommends paying for a service like Avalara or KPMG to handle all of the taxes and regulatory rules. He pays about $10K per year and it covers all of the major European markets. After you’ve expanded to Europe, Bernie also recommends selling in Japan because the regulatory process is fairly straightforward. Pretty much the only tax you have to worry about is a 7% consumption tax to be paid upon import and there is very little paperwork after that. You do however need an in-country representative which you can easily obtain by speaking with an Amazon account rep for Japan. The major hurdle for selling in Japan is the extremely long transit time and the extremely tight inventory limits for FBA. As a result, Bernie only uses air courier services to replenish Amazon’s warehouses in Japan. Every country that you choose to sell into will require completely different rules and regulations. But in general, obeying the tax collection rules will be the most complicated part of selling in a foreign country. Right now, Bernie does not recommend selling on Amazon in Mexico because it’s not ready for prime time. And expanding to countries like China and India are currently problematic because they require a physical presence and significant investment. Another consideration sellers often overlook when expanding to other countries is the need to manage reviews and autoresponder sequences in different languages. Note: Efficient Era offers a suite of tools to help you manage VAT invoicing and feedback across all of the different Amazon marketplaces. Below is a recording of the office hours recording with Bernie as part of my Create A Profitable Online Store Course. Enjoy! Based on my conversations with Bernie, expanding beyond Amazon.com is definitely not for the feint of heart. But as with all things in life, the harder something is, the less competition there will be. And as of right now, the competition in regions like Canada, Japan and Europe are not that strong. If you have a product that is selling extremely well on Amazon.com, you may want to consider selling that product overseas as well. Start with low hanging fruit countries like Canada and gradually expand. Good luck! An interesting post, not least of which because some of your students – and therefore your customers – are in Canada and the UK! Not everyone lives in the U.S., you know! It would be great to look at this the other way around; how to sell into the U.S. from Canada, the UK and Japan. You’ll have to pay federal “GST/HST” when you import goods into Canada based on their cost. However, once you surpass $30,000 in annual Canadian sales you DO have to collect GST/HST from customers and report it. The GST you paid at the time of import is a credit against the GST you owe (in essence, you get it back). Especially if you’re starting to approach 6 figures in Canadian sales, I definitely suggest you collect/remit GST (it’s very easy compared to you crazy Americans). From experience, the Canadian government is quite aggressive in going after this. Hi Dave – That sounds right. Until you hit the threshold, you’re paying GST at import (5% of wholesale value to federal gov’t), not having to file regular tax forms, not otherwise collecting any tax from customers, and not claiming back any tax you pay to others (e.g. tax on Amazon fees). Note that once you do hit the threshold, one additional complexity is the 14 provinces. Some participate in the harmonized scheme (HST), but many don’t. See http://canadabusiness.ca/government/taxes-gst-hst/federal-tax-information/overview-of-charging-and-collecting-sales-tax/ for details. Thanks! Thanks for the information, very informative!! You must have put a lot of work into this!